Choose the most romantic Hawaiian island of Kauai to marry! 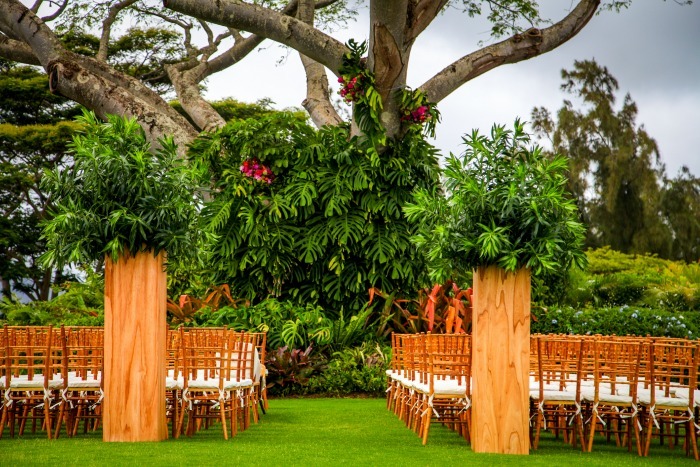 When you’re planning a Kauai wedding and need someone to attend to every detail, Mira Mira Events has the expertise and resources to plan a beautiful wedding that personifies you in every single way. Our local, dedicated team consists of islanders who can tap into the greatest resources and know how to find your wedding venue, local entertainment, specialty linens, creative florists, fabulous tent structures, amazing caterers, gifted photographers, party rentals and more. Your one-of-a kind wedding will be meticulously planned from start to finish. Everything we do is tailored around you, your lifestyle, your needs and your budget. You’re busy and may have little time or no idea how to plan your wedding on Kauai. We help you by taking on all the work. All you do is show up and enjoy!